Bali - The land of Sun, Sand, and History is worth visiting at least once in a lifetime. Bali is for every kind of tourist- If you are looking for laid back holiday Bali is the place, if you want to party Bali is also the place or, if you are a backpacker then Bali can serve you too. Every kind of tourist can find his/her perfect Bali itinerary. Bali is one of the fastest growing tourist destinations in Indonesia and this perfect Bali itinerary will leave you spellbound with its beauty. Bali being in South East Asia is easily accessible and you should plan a trip to Bali using this Bali itinerary soon. Travelling to Bali can easily be done on a budget and its one of the most budget-friendly places. Planning the perfect Bali Itinerary on a budget is very much possible and planning the Bali itinerary is very easy. 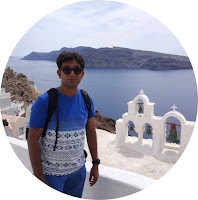 In this blogpost you will come to know how you can plan the Bali itinerary all by yourself and visit Bali on a budget. The currency of Bali is Indonesia Rupiah and 1 USD can fetch you approx 14,500 Indonesia Rupiah(IDR) in Bali. Suddenly you will feel like a millionaire while planning a Bali Itinerary. Well just to spoil your dreams of becoming an easy millionaire in Bali the prices of everyday items is higher in terms of Indonesia Rupiah eg 1 bottle of packaged drinking water will cost you anywhere between 20,000 IDR to 30,000 IDR depending on the brand and the place from where you are buying. 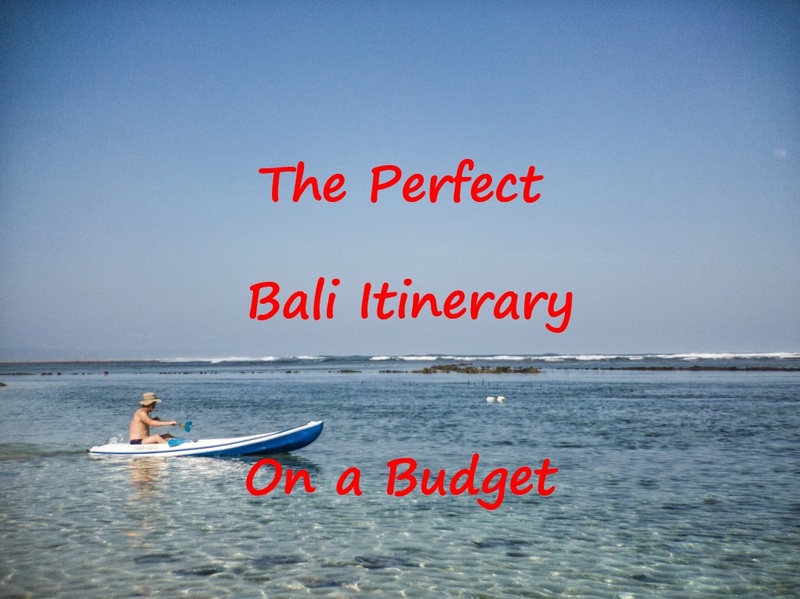 However, this shouldn't deter you from planning the Bali itinerary.This blog post will show you how easy to plan the perfect Bali itinerary on a budget. The best time to visit Bali is between July & August and again during the months of November, December & January. Plan the Bali Itinerary during the given seasons above to enjoy Bali to the fullest.These are the peak seasons and expect to pay a little-increased price. During the months of December & January, you can expect rainfall. Hence you might not be able to visit all the places mentioned in this Bali Itinerary. You can also plan to visit Bali before and after the high season i.e. April, May, June, and September. During this season Bali gets little rainfall and also you can expect to pay lower prices for hotels and other activities.This will bring down the cost of the Bali Itinerary further. The below costs mentioned for Bali Itinerary is for the peak season. Travelling to Bali is possible for all kind of budgets, you want to travel to Bali like a Hollywood star you can and also if you want to travel to Bali on a shoestring budget then also you will get various options. 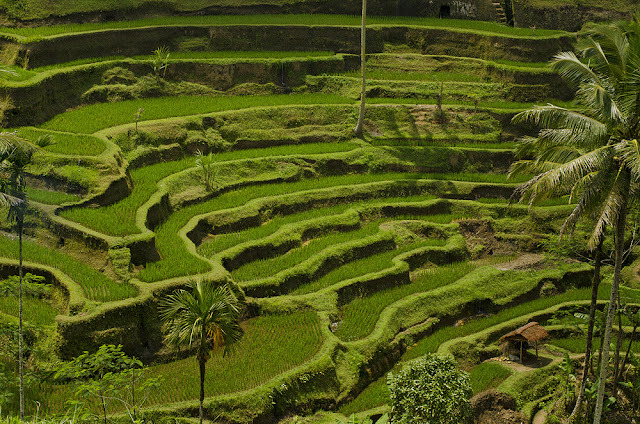 Read on to know the detailed costs for planning the perfect Bali itinerary. You will get staying options in Bali from Hostels to High-End Resorts with private beaches. Hostels in Bali will cost you anywhere between 1,20,000 IDR (USD $10) to 2,50,000 IDR (USD $20) per night depending on whether you are looking for a dorm or private room. A high-end resort in Bali like The Westin Resort Nusa Dua with private beach can start from 22,00,000 IDR (USD $ 150+). If you are planning to stay in a normal hotel in Bali then expect to pay anywhere between 4,00,000 IDR (USD $ 30) to 10,00,000 IDR (USD $ 70). 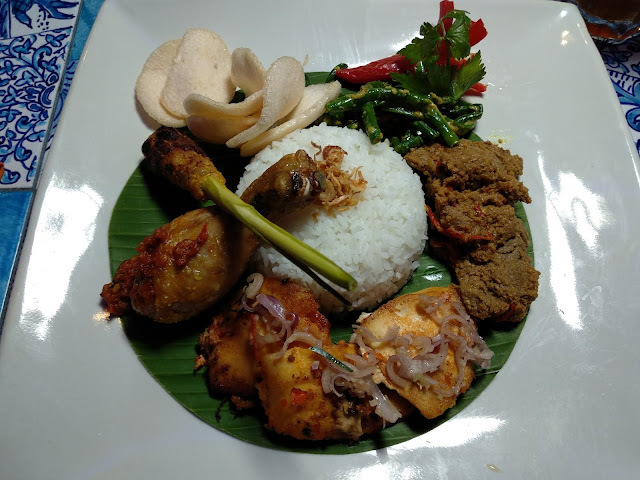 Food in Bali is extremely cheap and local street food in Bali will cost you under 10,000 IDR (68 cents).If you are planning to dine at a restaurant with drinks and table service then the cost will be between 70,000 IDR to 1,00,000 IDR. What is Bali without nightlife? A small bottle of Bintang beer(famous local beer) will cost you 30,000 IDR. So go ahead and indulge in Bali street food. In a separate blog post, I will cover the must-have street food in Bali. While making your own Bali itinerary ensure you keep atleast a day or two to have street foods. Local transport in Bali is very difficult to get and is also not reliable. Tip: Don't depnd on public transport here and hence in this Bali itinerary I will not suggest any public transport. Hence my suggestion is take an app cab if you plan to head out at night or just go from one destination to another. Grab Taxi is very reliable and cheap too. The other option is Go-Jek bike and Taxi services. If you are planning for a day trip in Bali then suggest you take a day tour or book a taxi for the entire day. Head out to Kuta and you can find various day tours at affordable rates. My personal suggestion is to always use an app taxi in Bali or ask your hotel to book a metered taxi. Never ever take a taxi ride without the meter as they will increase the price and you will end up paying much higher sometimes 3x times than the actual cost. SIM Cards can be purchased at the Airport after you land in Bali. Expect patchy network in few places where you might not get 4G connectivity. Hence keep this in mind and plan your Bali itinerary in advance. I have jotted down the day-wise Bali itinerary which you can follow along with places to visit & things to do during the day. Depending on the days you have in hand in Bali you can look at relaxed Bali itinerary where you can spread the things to do/places to visit between two/three days. This Bali Itinerary is suggested keeping cost-effectiveness and optimum use of days during your travel to Bali. Below is the detailed tourist map of Bali which you can follow during your travel to Bali and take a printout of it which will come handy for your Bali Itinerary. The average price of booking a car in Bali for Full Day Tour ( 10 hours) will be approx USD $50 or half day tour (6 hours) would be USD $35. Land in Bali at Denpasar Airport and check in to your hotel after completion of Visa and Immigration formalities. I suggest, stay in the Kuta region in Bali. You should keep first day of the Bali itinerary a bit relaxed. Bali itinerary is not complete without nightlife. In the night head to Legian area in Bali on a Grab taxi or Go-Jek and enjoy the nightlife as well as street shopping. You can head to Sky Garden, Crusoe's Island Bar, Bounty or Paddy's Pub to enjoy your night. I have personally liked Sky Garden and Crusoe's Island Bar. Note: Stay away from any local girl who is overly friendly. In most of the cases, she might be looking for your companionship in exchange for money. For day two of Bali Itinerary be ready to explore nature and temples today at Ubud in Bali. b. Head to Ubud market and spend some time shopping. c. After shopping at Ubud Market head to Saraswati Temple which is near to Ubud Market. c. Visit the Goa Gajah Temple. 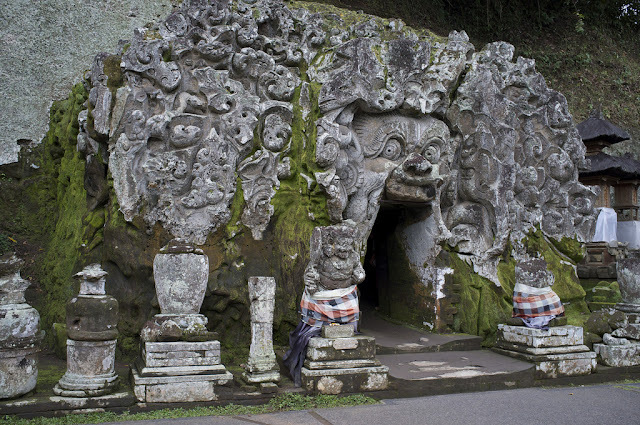 Goa Gajah temple is also known as Elephant Cave and I am sure you must have seen lots of pictures of it. e. While heading to Tirta Empul Temple you can stop at various Luwak Coffee Plantations and see for yourself how the world's costliest coffee is made. f. Be ready to get mesmerised by the beauty of Rice fields at the Tegallalang Rice Terrace and don't forget to click the instagrammable photographs here. If you love waterfalls and love to soak in the beauty of the waterfalls then this is the day for you. There are various hidden waterfalls in Bali and this is a must thing to be included in a perfect Bali Itinerary and you must experience at least 2/3 waterfalls. 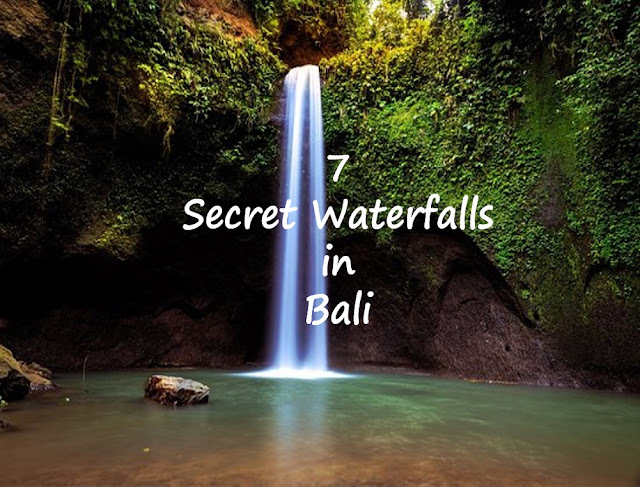 Read my blog post on the Hidden Waterfalls in Bali. 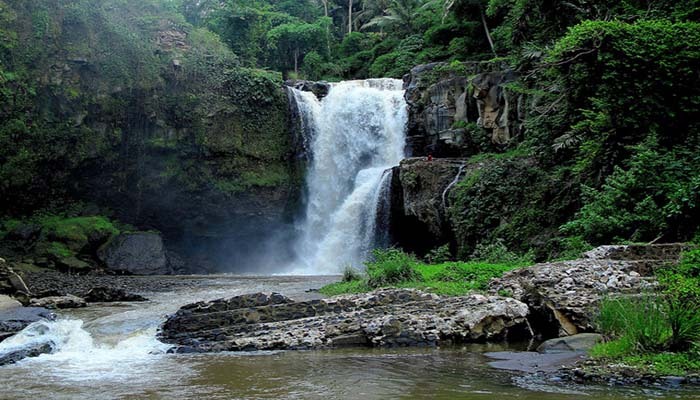 All waterfalls in Bali are easily accessible from Ubud and choose the waterfalls which suit your taste. While going to Gitgit waterfall or Aling Aling waterfall or Banyumala Waterfall visit the Ulun Danu Beratan Temple which will be on your way to the waterfall. If you don't like water and waterfalls in general then you can skip the activities and have a relaxing day. Sleep early today as the next day you have to wake up early for an exciting activity in Bali. 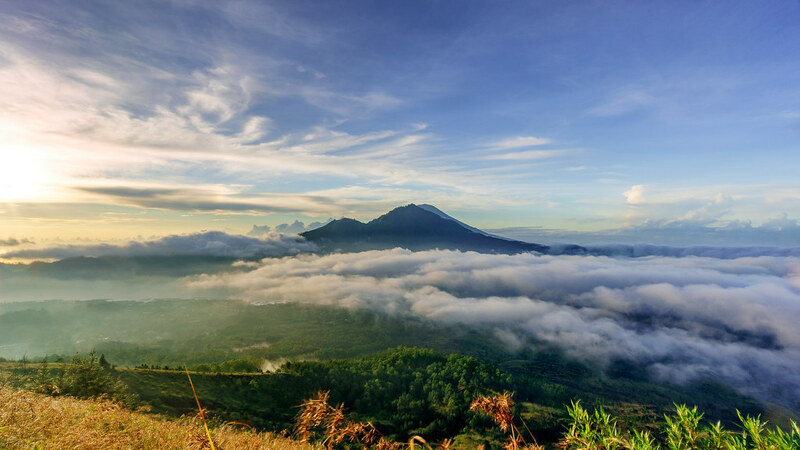 Today wake up early to hike to the famous Mount Batur of Bali to see the sunrise. This will be a highlight in your Bali Itinerary. You will be picked up from the hotel as early as 2AM for the Mount Batur Trek. The hiking duration will be approximately 2.5-3 hours (if you are super fit you can complete the same in 2 hours) and remember to wear good hiking boots and carry water. If you are not fit to walk a lot then suggest skipping this activity. Mount Batur (Gunung Batur) in Bali, Indonesia is an active volcano located at the centre of two concentric calderas north west of Mount Agung. While planning the Bali Itinerary remember to book the Mount Batur, Bali sunrise trek in advance and suggest you don't do it on your own.You can check the Tripadvisor site and this tour in Bali has got a certificate of excellence from TripAdvisor (note:I have not used their services while in Bali and discovered it on a later date nor I have collaborated with them hence please read the reviews and decide for yourself). You can also check out various tours in the Kuta region. Once you come back to the Hotel in Kuta, relax and sleep and head for some nightlife later in the day. 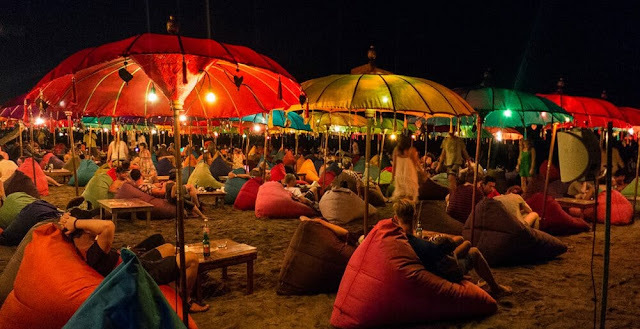 You can go to Seminyak region in Bali for an amazing nightlife by the beach. Head to La Plancha or Potato Head which are famous nightclubs in Seminyak. 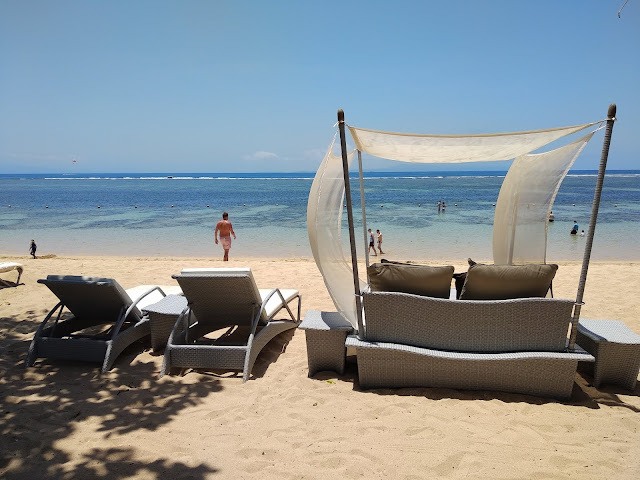 If your budget allows and you are ready to spend a few more bucks for your Bali Itinerary then you must stay for 1/2 days in a Beach resort in Bali. Head to Nusa Dua and book a resort by the beach. Nusa Dua is a fun place and has one of the best beaches for a great snorkeling. My recommendation for the perfect beachside resort is The Westin Resort, Nusa Dua, Bali. I stayed here for 2 days and it's absolutely stunning with a private beach. Having a private beach while travelling to Bali is a must thing for any Bali Itinerary. In the evenings after having dinner you can relax on their private beach. Without seeing the sunset at Tanah Lot any Bali itinerary will remain incomplete.For afternoon book a car for a half day tour to Tanah Lot Temple, the famous temple of Bali. Most of the Tour operators in Bali will add few others temples however if you have visited the temples in Day 2 then remove them and save cost. The sunset at Tanah Lot temple is mesmerizing and the Tanah Lot temple is unique as it's in the middle of the ocean and during low tide, you can walk on the rocks on the Tanah Lot beach and reach the temple compound. Relax at the beautiful Westin Resort Nusa Dua, Bali in the morning. You can do snorkeling or watersports in the morning.You will love this part of the Bali itinerary. In the afternoon head to Uluwatu Temple another famous temple of Bali and watch the world famous Kecak Dance by the ocean during the sunset. 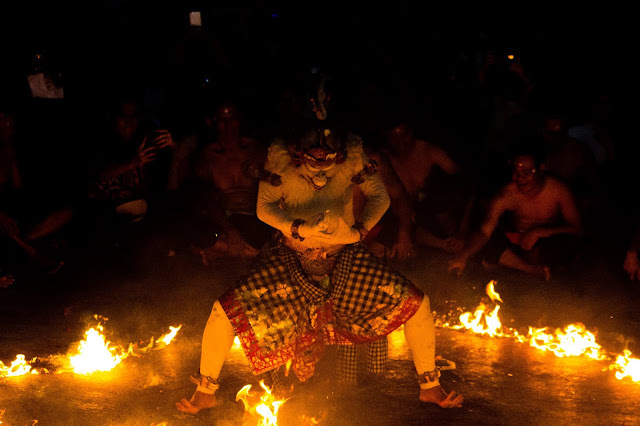 You will love the entire atmosphere of the Kecak Dance at the Uluwatu temple in Bali. 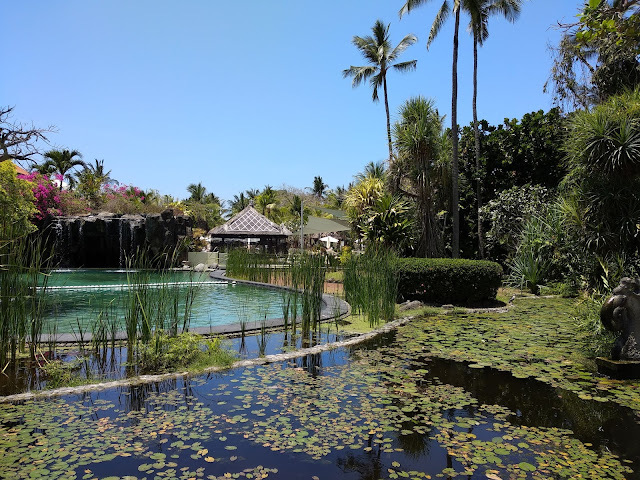 If you are low on budget then suggest check out from Westin Resort in Nusa Dua, Bali and head to Kuta and check-in to a hotel. Enjoy the Kuta Beach and Kuta nightlife. A visit to Nusa Penida Island in Bali finds a must visit place in every Bali Itinerary. Keep aside atleast 1 day in your Bali itinerary to visit Nusa Penida. 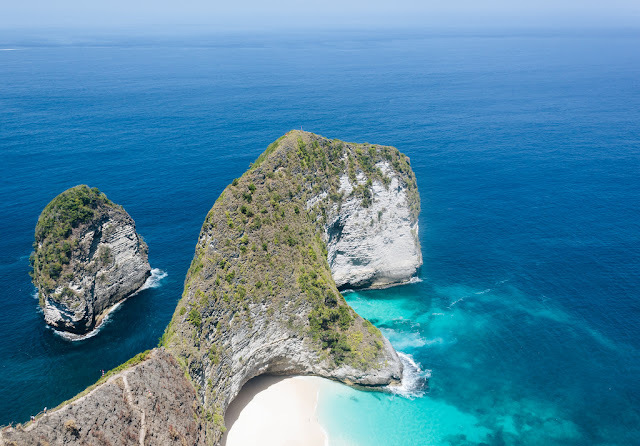 The Bali island of Nusa Penida is picturesque and you will love every bit of it. Option 1: Book a full day tour of Nusa Penida if you don't want to ride a bike at the island or book a taxi at the island. Option 2: Do it completely on your own. Head to Sanur in Bali early in the morning and book a boat. Ensure you reach early in the morning so that you can reach Nusa Penida Island early and enjoy all the places. Don't book a fisherman boat at any cost. The cost of the two-way ticket is IDR 3,00,000 and leaves Sanur at 8:30am and returns from Nusa Penida island at 3:30pm.Once you reach Nusa Penida harbour, hire a taxi and the rates are between $10-$40 depending on the tour options. a. Kelingking Beach: This is the place which you see in almost every Bali picture. b. Pasih Uug : As known as the broken beach, what makes this place special is a hole in the middle of the cliff. The water here looks so clear.It's a Bali Picture perfect place. Plan your trip to Bali and enjoy your Bali trip and if you have any queries for Bali don't forget to hit the WhatsApp button to directly. Let me know in the comment section below after visiting Bali. 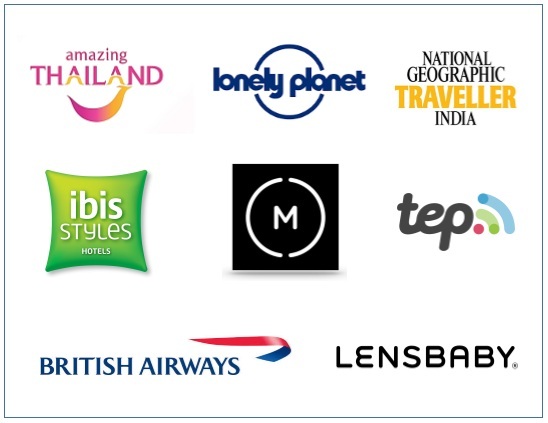 Keep in touch for another exciting itinerary or things to do from Shoestring Travel.